A phalanx of chart-topping stars from across genres joined forces in the loading dock of New York City's biggest post office to launch the newly artist-owned high-definition streaming service Tidal. Like a scene out of a pop-music version of The Avengers, 16 hit-makers – Alicia Keys, Arcade Fire's Win Butler and Régine Chassagne, Beyoncé, Daft Punk, Jack White, Jason Aldean, J. Cole, Jay Z, Kanye West, Deadmau5, Madonna, Nicki Minaj, Rihanna and Usher – rubbed elbows onstage at the swanky launch event while two others beamed in digitally (Calvin Harris and Coldplay's Chris Martin). Aside from making a spectacle, the musicians made the case for an artist-owned streaming service. "We come together before you on this day...with one voice in unity in the hopes that today will be a moment that will forever change the course of music history," said Keys, the only artist to address the audience, in an exuberant speech. "Our goal is simple: We want to create a better service and a better experience for both fans and artists, and that is our promise to the world." She explained that the mission statement of the musicians, who stood patiently listening to the speech, was "to preserve music's importance in our lives." She spoke of artists delivering "exclusive experiences" via the service and ultimately finding a way to "preserve" the industry and the value of music. She also quoted Friedrich Nietzsche: "Without music, life would be a mistake." "Today is the day," she repeated before inviting her co-owners to sign what she called a "declaration," though she did not expound on what it said. "This is the beginning of a whole new era," she said before each present musician made his or her way over to a podium to sign a document. 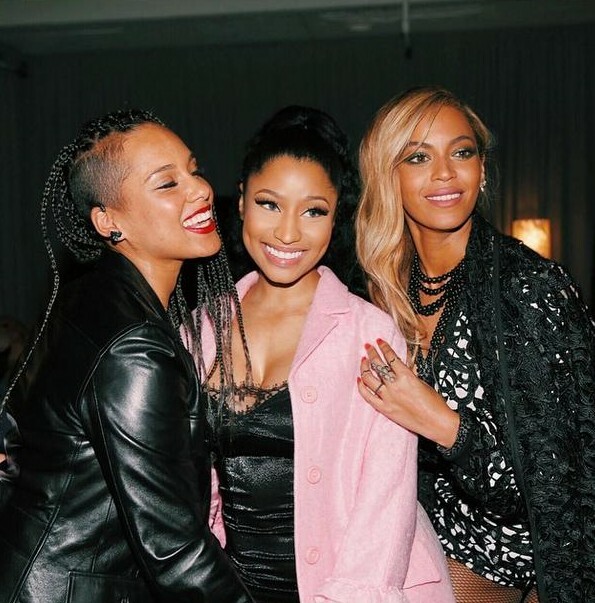 When they were done, they returned to their spot onstage; Chassagne seemed to zone out to the music but eventually struck up a conversation with Beyoncé who was standing next to her. The whole speech and signing is viewable above. When the event was done, Deadmau5 tweeted, "Yeah. That just happened. Awkward? Maybe. But I do believe in this venture!" He also offered, "At least we know who's got the bigger head." Nicki Minaj wrote on Facebook that she was "so proud to be a part" of the service. Only Jay Z and Beyoncé emerged when it was done to look around the event space, which – despite its industrial-looking locale – was decked out in flashy screens and drop lighting. Among the displays, which gave museum-like presentations of archaic forms of sound delivery like LPs, "stereo and mono" vinyl, reel to reel and, the power-couple's preference, the cassette. They chit chatted with some people working there before a large bodyguard whisked them backstage. Jay Z, of course, is the artist who was the first to put a stake in Tidal. The rapper revealed in January that he had invested millions of dollars into Aspiro, the Norwegian company that created Tidal. West, Rihanna and the other artists showed their support of the platform two months later, prior to its release, by changing their Twitter feeds to an aquamarine color. "We saw the movement and how everything was going and figured that this could possibly be the last music format that we see in this lifetime," Jay Z told Billboard recently about Tidal. "We didn't like the direction music was going and thought maybe we could get in and strike an honest blow and if the very least we did was make people wake up and try to improve the free-versus-paid system, and promote fair trade, then it would be a win for us anyway." Jay Z told Billboard that each of the founding owners in Tidal had an equal stake in its equity. "That's the utopia," he said. "Everyone is sharing in it; everyone is some kind of owner in it in some kind of way." The service competes with other high-def audio companies like Deezer Elite and Spotify Premium, as well as the likely soon-to-be-relaunched Beats. According to Billboard, the competition is steep: Spotify boasts 15 million subscribers, Deezer has six million and currently Tidal is the smallest at 540,000. "Will artists make more money? Even if it means less profit for our bottom line, absolutely," Jay Z told Billboard. "That's easy for us. We can do that. Less profit for our bottom line, more money for the artist; fantastic." 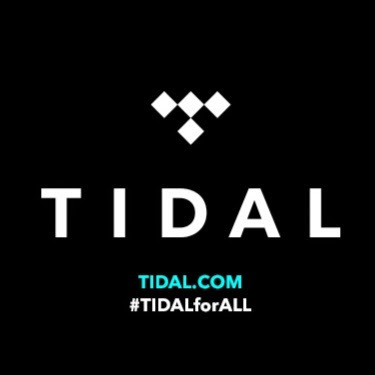 That hashtag and aesthetic change is in support of Jay Z and his recently acquired music streaming service Tidal. Jay’s wife, Beyonce, who hasn't tweeted since 2013, changed her avatar.